Halloween offers Realtors® a unique opportunity to tap into community foot traffic. This holiday can gain much-needed exposure for your real estate business. This holiday can create more exposure in 24 hours than you’ll get on any other day of the year because a majority of your community will be out walking the streets on this one day. 1. Check your brochure boxes. Fill your brochure boxes at the beginning of the week, and check again the night before to be certain they’re well stocked. Make sure every piece of advertising that’s out in the community is accurate and up to date, and that your website information is prominently featured on any information that a client can carry home. 3. Get into the spirit! Adding orange and black balloons or spooky decorations to your yard signs or listed houses can go a long way toward capturing a potential client’s attention. This is one of the best nights of the year to connect with your clientele. Plan to have a visible presence at a local event or “hangout spot.” Hand out plenty of candy... along with a few brochures, of course! 5. Let them come to you. Want to stay home and hand out candy? Toss a business card with a simple message in with the treats. Consider adding a kid-friendly puzzle or message to the back of your card. You’ll catch customers’ attention as well as garner kudos for being family-friendly. 6. Update your social media. Update your Facebook/Twitter status with information about Halloween events in the community. Wish everyone a Happy Halloween on the 31st. When you’re involved with your community, your community will be involved with you! 7. Post “Trick or Treat Tips” that cater to your main demographic. Consider using your website and your social media outlets. If you sell large homes to large families, focus on safety tips for kids. If you sell retirement-friendly housing, give suggestions on where to find the best candy for the best price. 8. Be crafty -- In the best sense! Put together Halloween-themed crafts or treats for October open houses. Let your customers imagine spending a holiday in their new home, and watch them warm to the idea! Hand out candy, invite folks in, and let the trick-or-treaters (and their parents) take a look around! 10. Build a Mobile Website. You’ll cater to your on-the-go crowd and be at a customer’s fingertips as soon as they’ve seen your advertising. Need a little help? Call Z57 at (800) 899-8148 to learn how! 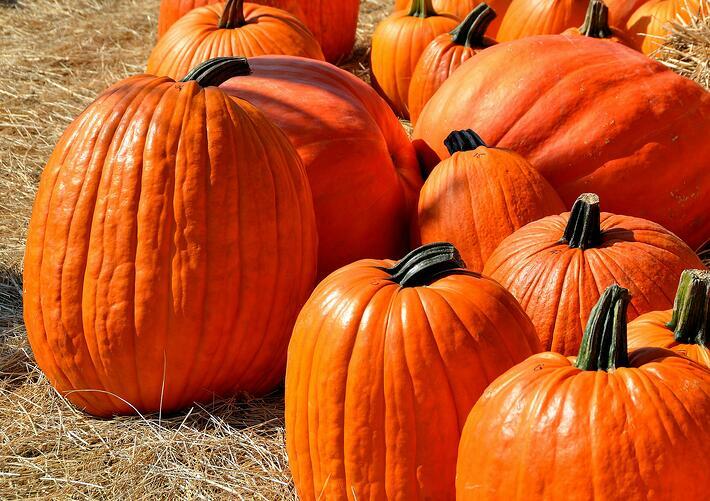 These ten tactics can be put into play anytime during the month of October. Be sure to follow up and pull your spooky-themed advertising down immediately, so that your “up to date” marketing does not backfire and brand you “out of touch” in early November. Updated October 2018 to include links to other related blog articles. At Z57, we know how to help you take advantage of holidays and other community events. Take some time today to plan out how you can enjoy Halloween and use the exposure to help grow your business!